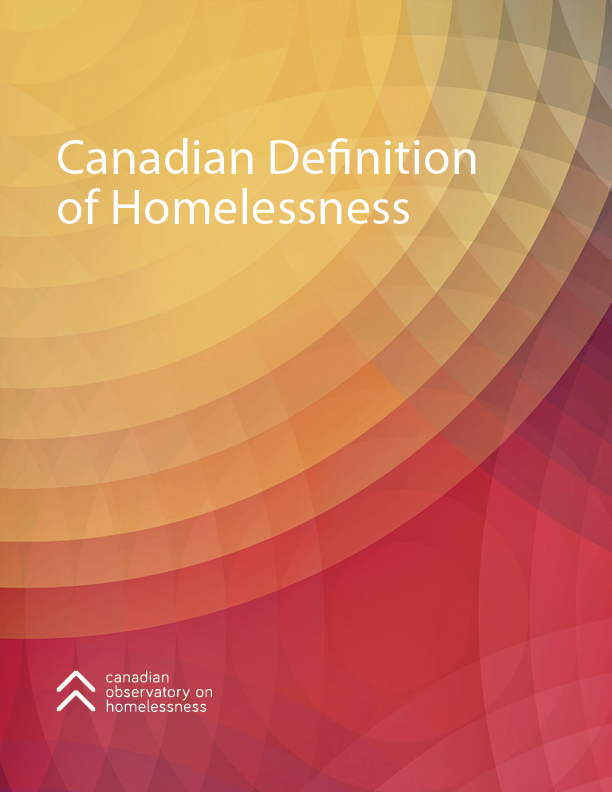 The Canadian Observatory on Homelessness (COH) has developed a definition and typology of homelessness intended to improve understanding, measurement and responses to homelessness in Canada by providing a common ‘language’ for addressing this complex problem. Working in collaboration with national, regional and local stakeholders, including people with lived experience, we have developed a definition that draws on our shared history of attempting to define homelessness in Canada, but also on effective models from other jurisdictions (most particularly, the ETHOS definition from Europe). The result is a useable, understandable definition of homelessness that is uniquely Canadian yet allows for national and international comparison. Based on national consultation, the definition was revised in 2017. This is where the Canadian Definition of Homelessness can be found. It includes an overall definition and a typology of homelessness and housing exclusion. This document includes an overall definition and a typology of homelessness and housing exclusion. This document answers the question: Does homelessness really need to be defined? Here we make the case for the necessity and uses of a Canadian Definition of Homelessness. In this document, a comparative analysis is undertaken to identify the key strengths and weaknesses of different national and international definitions. In addition to an exploration of how homelessness has been defined in Canada, this backgrounder reviews definitions from: a) the United Nations, b) the United States, c) Australia, and d) Europe (the ETHOS definition developed by FEANTSA).